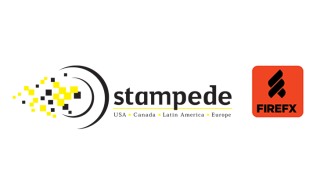 Stampede will distribute FIREFX’s Network Guardian, an IoT cyber-security protection system for residences and small to medium-sized businesses that is able to provide multiple security functions within one single platform, including a network router/firewall and automated intrusion detection. It is a military-grade solution combining hardware and software to address one of the fastest-growing consumer concerns, cyber-security. Each Network Guardian is equipped with a software system that allows FIREFX to push new threat profiles and updates in real-time, allowing the system to block any new or emerging threats. “This software system, which comes standard with all Network Guardian hardware, creates a recurring revenue stream for dealers,” Kelly added. “The Network Guardian updates with the latest threat patterns twice daily for an annual fee. Now dealers can combine the automated FIREFX cyber-security updates in a subscription model to their service and support plan, offering real perceived value to their clientele while building their business' coveted RMR plan."